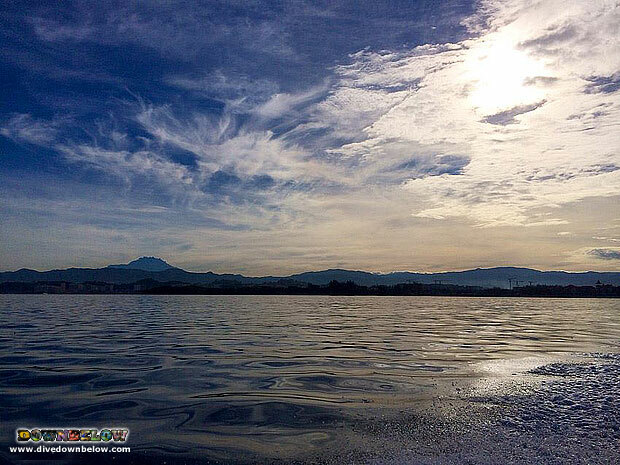 Morning commute to Gaya Island with a view of Mount Kinabalu for Downbelow island staff! Home/News/Morning commute to Gaya Island with a view of Mount Kinabalu for Downbelow island staff! The working day starts early for our island staff team, but the clear view of Mount Kinabalu in the distance reminds them that they are living the diving dream! The Downbelow staff is comprised of island staff and the head office staff. Our diving clients who visit our PADI 5 Star IDC dive centre at Gaya Island compliment both head office and island staff for the exemplary standard of customer service. Both our beach house at Gaya Island and our Head Office at Kota Kinabalu Times Square are equipped with the facilities to create your perfect holiday! Our dive shop is located at our Head Office and stocks a wide variety of scuba diving and adventure equipment – browse some of the selected products we feature on our website or Facebook. Our staff possess extensive knowledge of Sabah scuba diving sites and are happy to advise on your diving adventure whilst visiting Borneo. Downbelow specialize in scuba diving education, however we focus on other amazing Sabah attractions. Your holiday is conveniently designed and organized for your needs, your comfort and your convenience. What would you like to try? White water rafting? Mountain climbing? Visiting wildlife and nature reserves or cultural villages? Contact our very helpful and friendly staff so they may arrange for you a schedule of memorable adventure activities to add to your exotic Borneo holiday! By Joanne Swann|2014-01-14T15:22:29+08:00January 14th, 2014|News|Comments Off on Morning commute to Gaya Island with a view of Mount Kinabalu for Downbelow island staff!